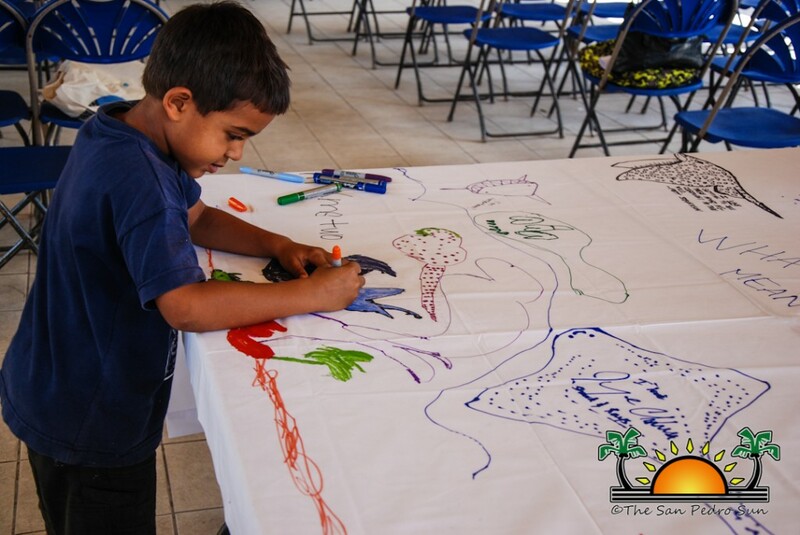 Over the past few years, the Wild Life Conservation Society has been spearheading the Gulf and Caribbean Sharks and Rays Program in various parts of the region including Belize. 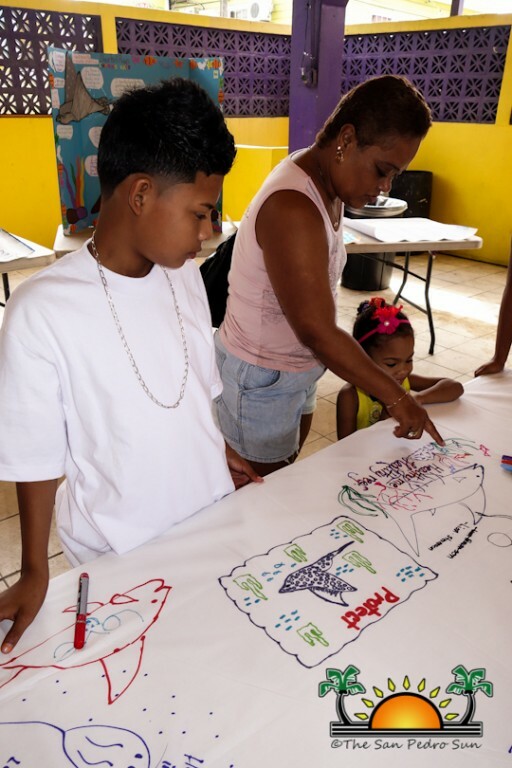 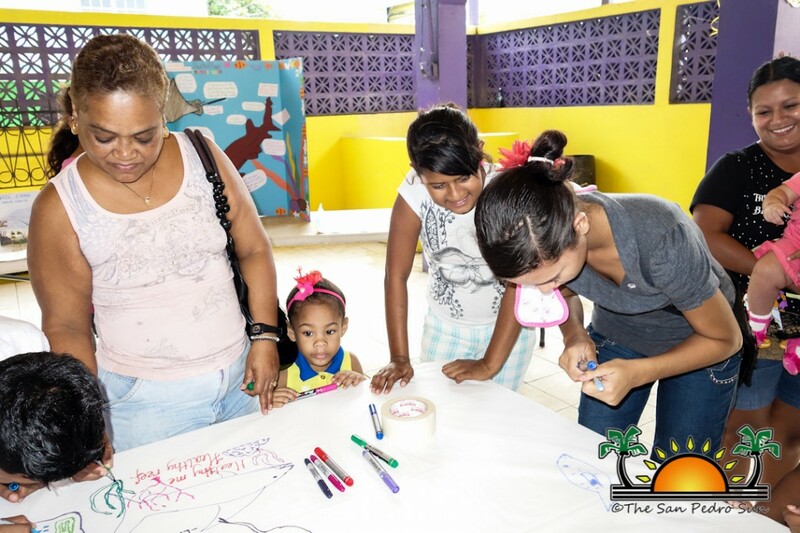 As part of the program, children have been one of the focus groups and in Belize they have been targeted through the Kids Meet Sharks program. Over the weekend, students that were involved in this year’s Kids Meet Sharks program had the opportunity to display their knowledge in a writing and art competition. 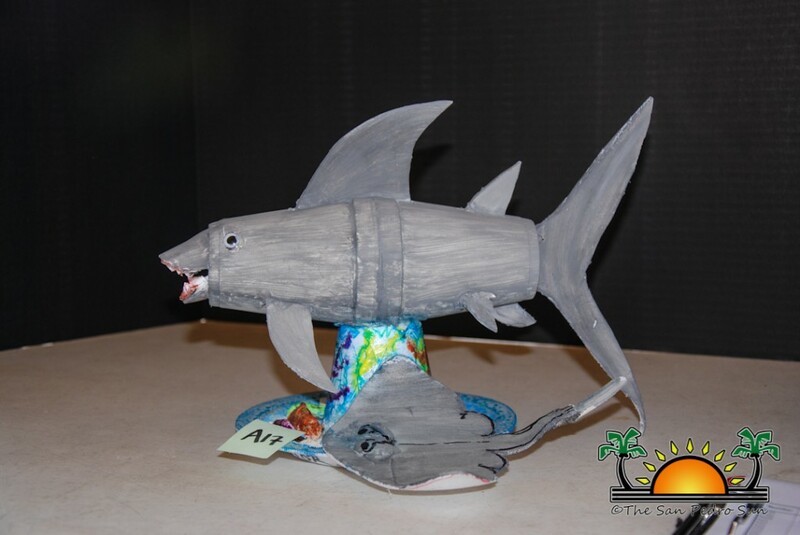 The entries were judged on Saturday December 14th at the San Pedro Lions Den. 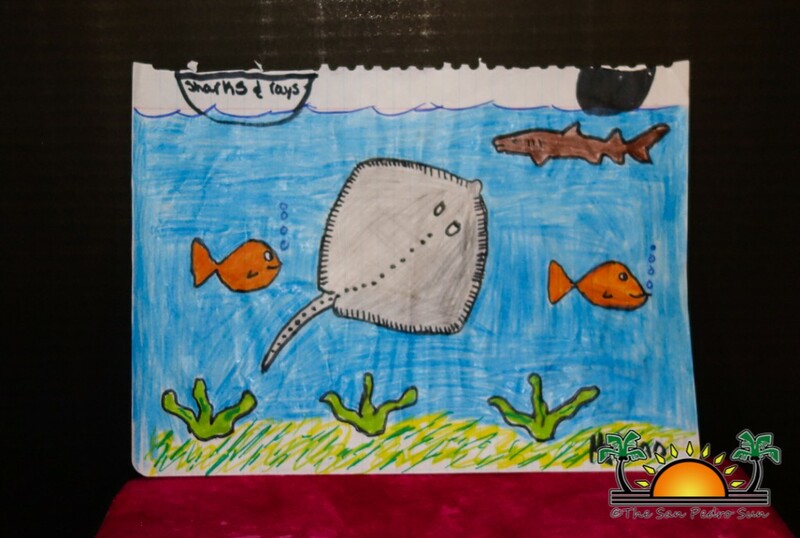 The Kids Meet Sharks Project started in 2011after Dr Rachael Graham won a monetary award from the Whitley Fund for Nature. 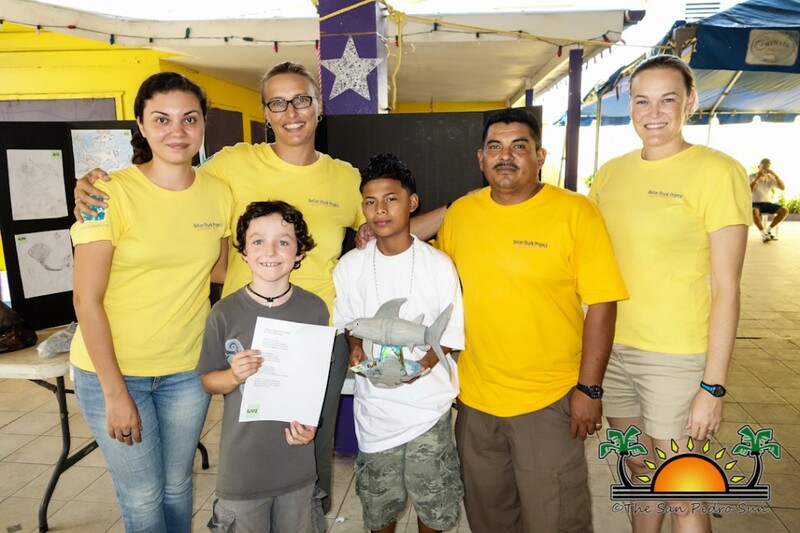 In keeping with her sharks and rays conservation effort, Graham embarked in the Kids meet Sharks project as part of the Gulf and Caribbean Sharks and Rays Program educational campaign. 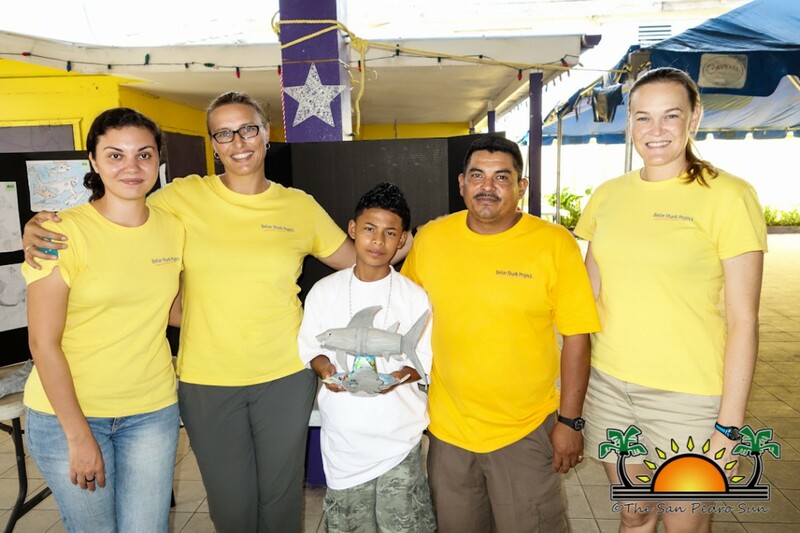 Through the program, students from various parts of Belize have had the unique opportunity to swim with sharks and rays and learn about them. 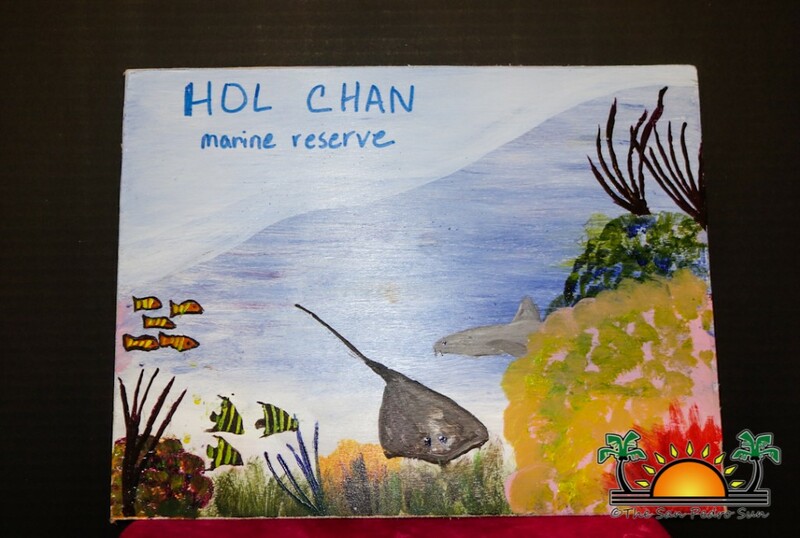 The main purpose is to educate them about the importance of these species that are faced with diminished numbers due to increased fishing as a result of the relentless demand from the shark fin markets. 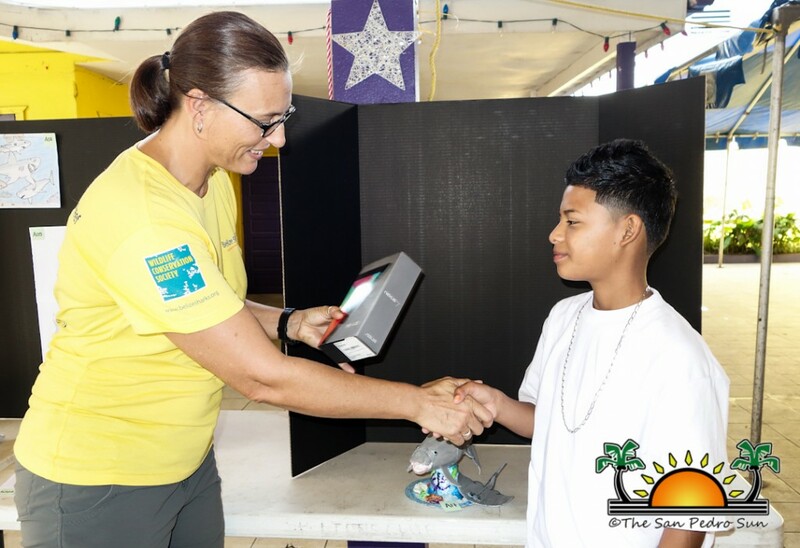 But the educational campaign bar was raised this year with the students that participated in the Kids Meets Shark program on Ambergris Caye. 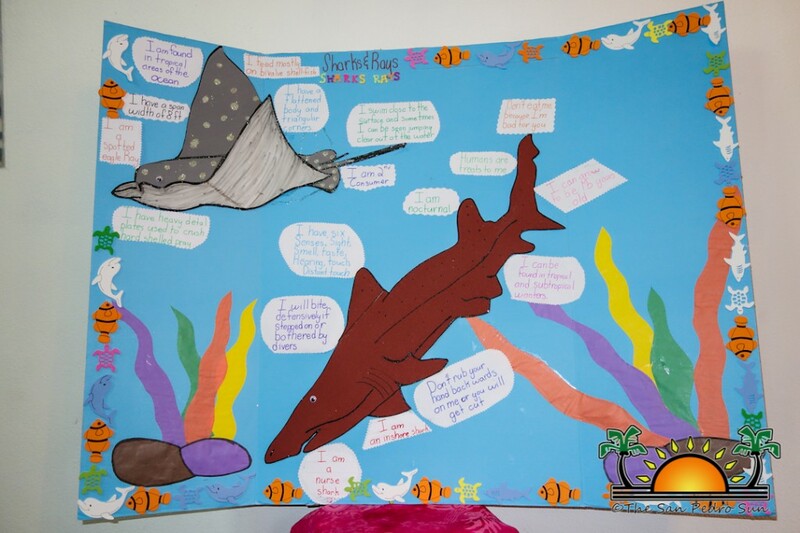 Each of the students had the opportunity to submit either an art piece or a writing based on their experience from the Kids Meet Sharks program. 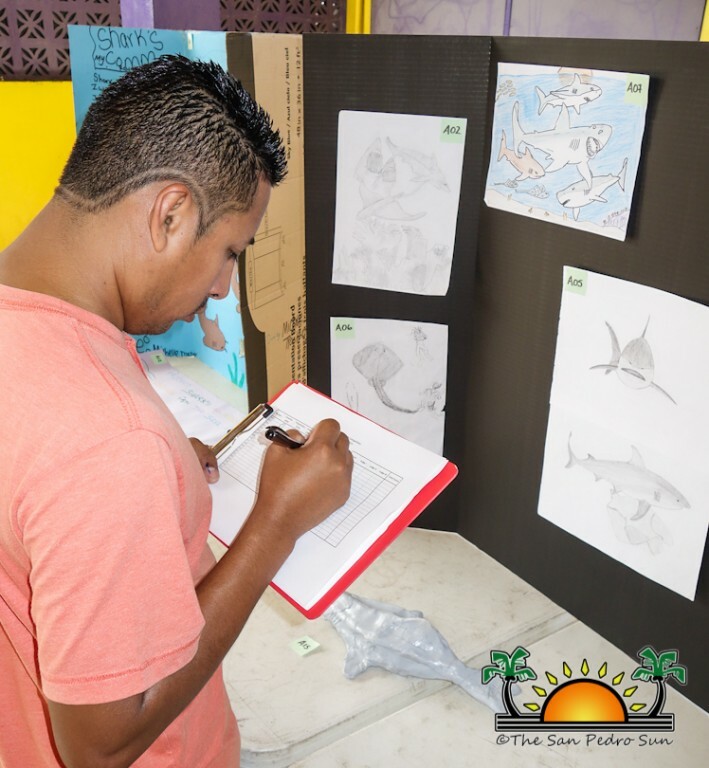 A total of 20 students from four different schools on Ambergris Caye submitted their entries. 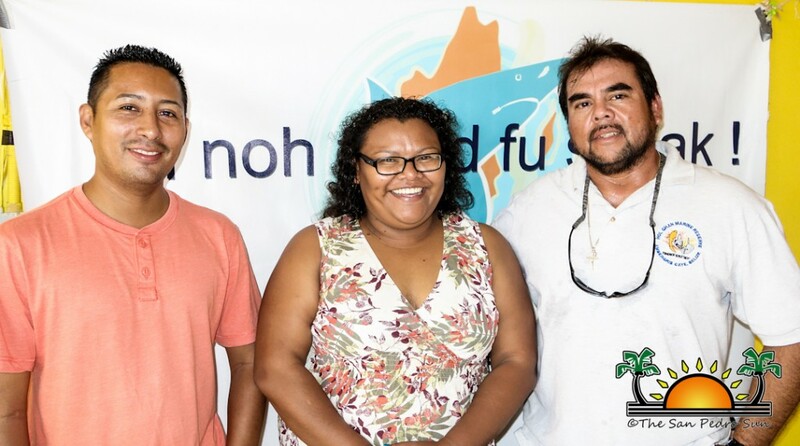 All the submissions were judged by a panel of three consisting of Mary Gonzalez, Edgar Riena and Jorge Aldana. 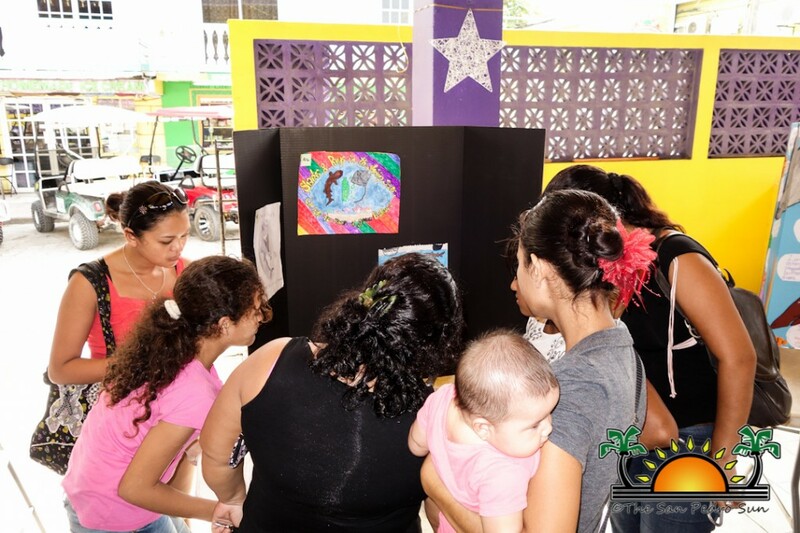 After carefully inspecting the writing and art pieces, the judges had the difficult task of choosing the winners. 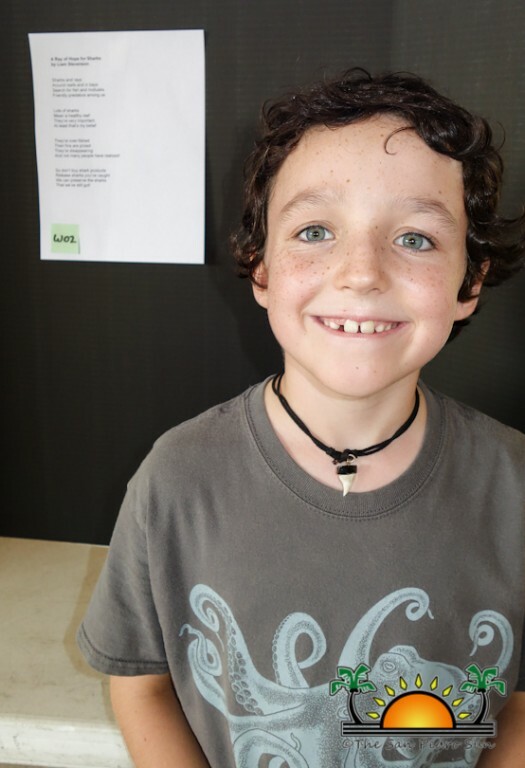 In the writing category Liam Stevenson of The Island Academy won first place and took home a Nexus Tablet. 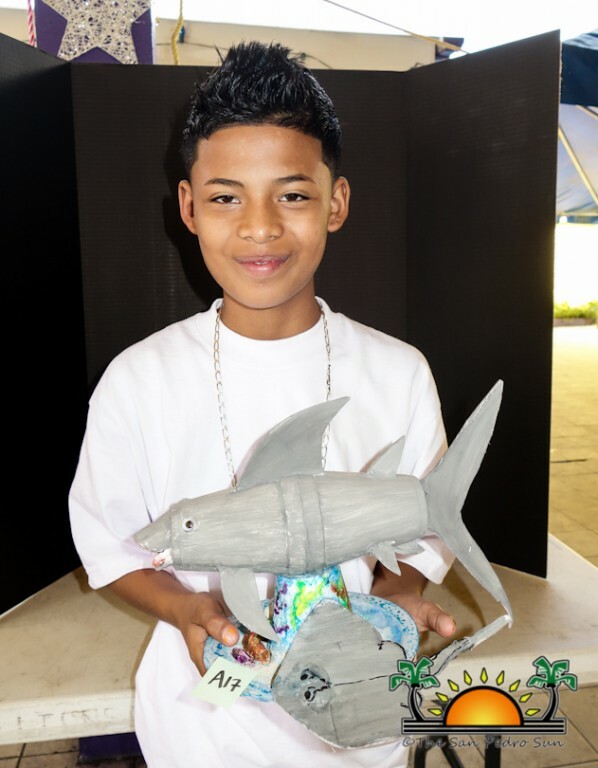 Second place went to Faith Azueta from San Pedro Roman Catholic Primary School, while Tania Lima of Ambergris Caye Elementary School took third place. 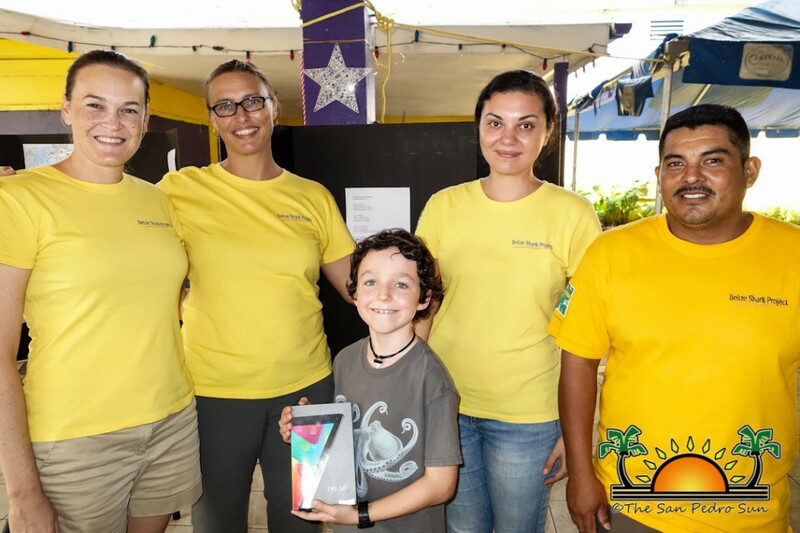 In the Art category, Nestor Castillo from La Isla Bonita Primary School won first place and he also took home a Nexus Tablet. 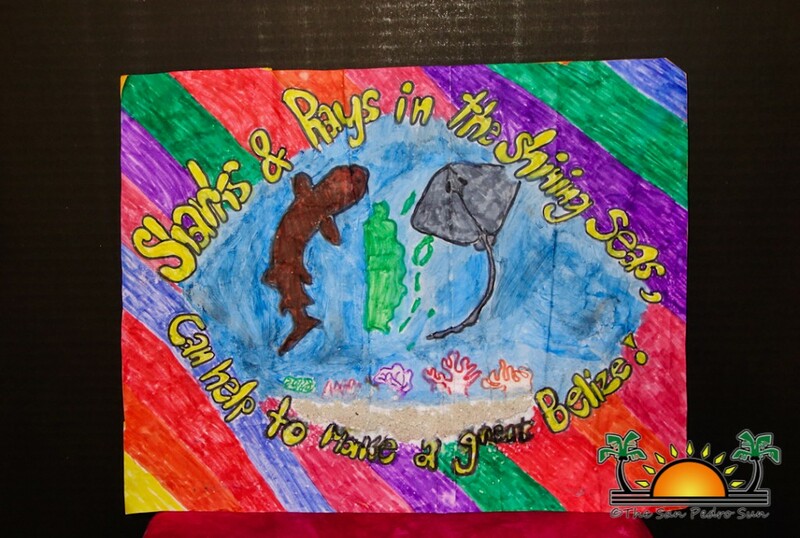 Second place went to Jessica Manzano while third place went to Bianca Narvaez both from Ambergris Caye Elementary School. 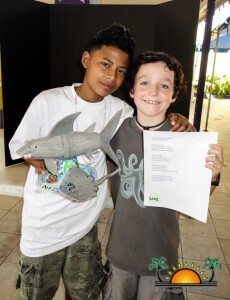 Second place and third place winners got various gifts including water bottles and t-shirts. 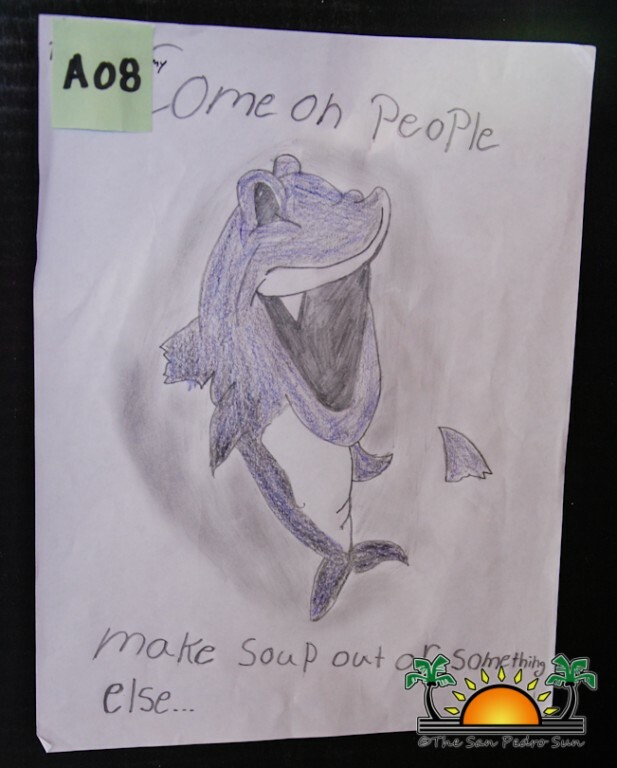 The art work was displayed for viewing and those that stopped by had the opportunity to participate in designing a banner by drawing and writing something about sharks and rays. 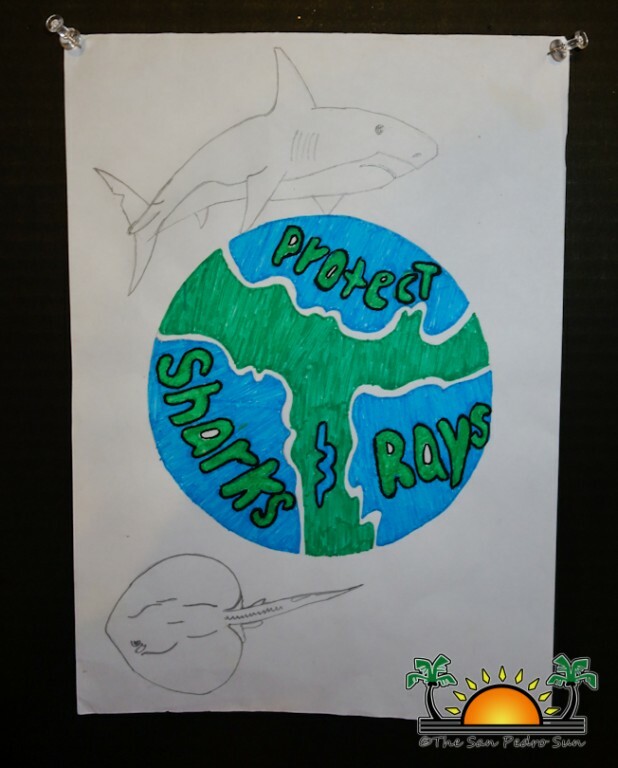 Dr. Graham would like to take the opportunity to thank all those who participated in the Kids meet Sharks writing and arts completion. 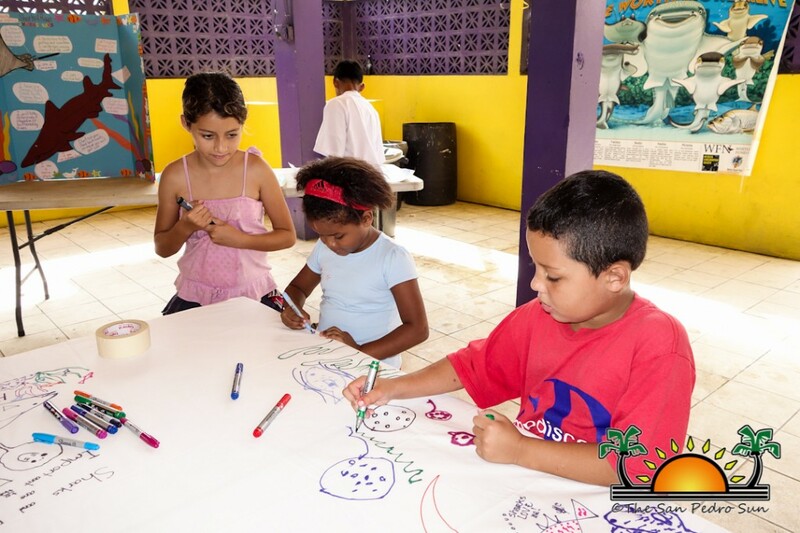 The San Pedro Sun congratulates all participants on a job well done.